Teal Ribbon "Knock Out Cancer" Pin. 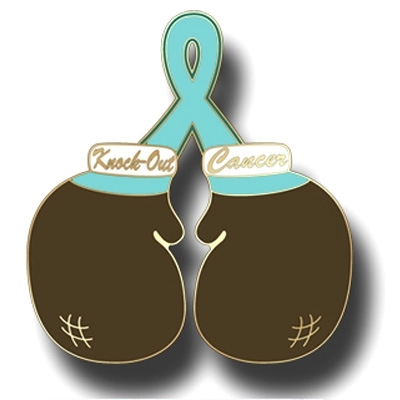 Show the world that we want to "Knock Out" Cancer with this adorable boxing glove pin. The teal ribbon is for Ovarian Cancer Awareness.